Incontinence pads are also called as disposable pads or adult nappies and there are also many other names to it like beltless pads, shields guards etc. The pads are designed to be worn inside underwear and are necessary for individuals who suffer from heavy incontinence. However, their design maintains air flow in the skin while maintaining high level of absorbency of the liquid. There are many variations of products ranging among this category in terms of quality like level of absorption, odors and comfort in terms of wetness levels. There are pads that are fine for the overnight usage and variation in shape with regard to gender as the outlining varies with regard to different structures of body. Adult incontinence pads are easily designed to go inside any regular underwear with a waterproof backing with strips with adhesive to help it stay in suitable position. And those designed for incontinence undergarments can be slipped into a compartment and may not have adhesives. All Incontinence pads are made up of various absorbent layers that can draw in liquid and capture it; however, the absorbing material can be made liquid absorbing polymers that turn into a gel when these are activated by liquid – your urine is trapped while your skin remains dry. There might be possibilities of urine loss with stress incontinence that occur with activities like coughing, sneezing, laughing or lifting a heavy object. These activities increase stress on the abdomen. For this type of incontinence that range from low to moderate level incontinence, pads with thin layers can suitable do the needful for this type of low - level incontinence. Contrary to this situation, adults the having high level of inconsistence some of the adult diapers are designed in such a way that can absorb two cups of liquid. Generally, the incontinence pads are made of cotton if reusable and of paper, if they are disposable pads. They can also be placed on a bed or chair of a person apart from undergarments. They are manufactured in light and heavy grades which have ranged in the level of absorbencies that refers to the level of absorbency, when in use. Beltless pads can trap a lot of liquid and linings on the sides to help maintain the liquid flow, and others have channels designed into the pads to help liquid absorbed. The measurements in length and width differ from brand to brand and for gender as well. The more active you are, the more important it is to prevent your adult pad from shifting. For this belted pad is most suitable as the elastic belt that fits around the waist makes the adult pad refrain from any movement or shifting. Some elastic belts come buttons as these belts provide with full coverage. However, to avoid confusion, incontinence pads should not be confused with sanitary napkins or feminine pads for the menstrual cycle. 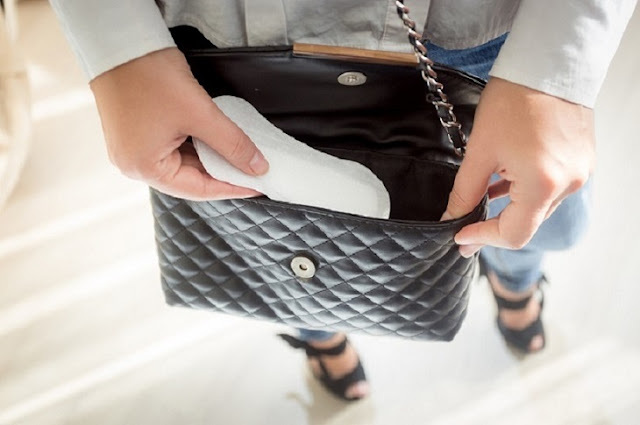 As menstrual fluid is thicker, feminine pads have low levels of absorption while incontinence pads are designed to absorb and lock fluid and are designed to neutralize odor. Incontinence and bladder problems mostly affect the older ones. So it is a very common problem and so they should be taken care of practically. With right education and awareness, one can deal with this problem effectively. So the use in incontinence pads, incontinence pants, incontinence aids and incontinence products should be encouraged as they are designed to meet your demands and manage your incontinency effectively. As they are medically approved products and the medical fraternity also promotes its usage as they promote hygiene and well- being of the ageing human population. And help them to deal with the situation without embarrassment.